Regular Brabu customers would notice the starving mother boonie dog lurking around the Brabu parking lot. She had had multiple litters of puppies, was starving, male dogs were again sniffing around as she was again in heat. Her puppies were getting squished in the parking lot, and then Typhoon Soudelor hit. She had rapidly lost weight with ribs sticking out. She only had one pup left, which a patron of Brabu had adopted after Soudelor. 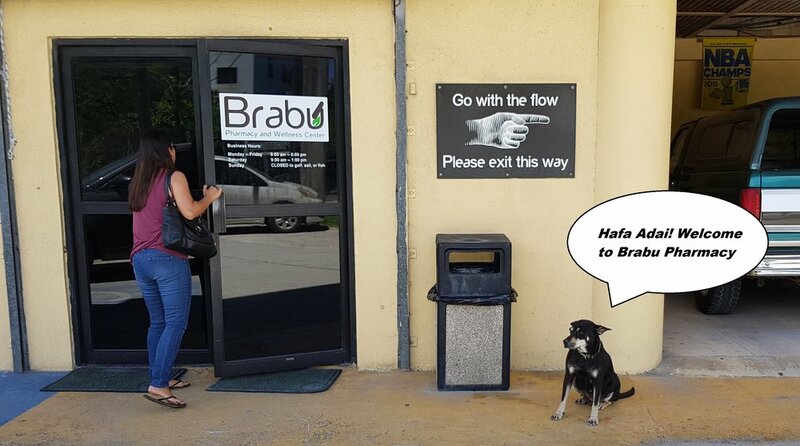 Brabu co-owner Kathy just couldn’t leave the dog to suffer. One day leaving work she asked a nearby woman who the dog belong to and she said she didn't know, it just lived in the parking lot and people fed her scraps sometimes. So, Kathy came to the rescue. With the woman’s help they lifted the starving dog into the back of Kathy’s car. The dog was so docile; didn't attempt any kind or growl and settled nicely into the back of the car. Kathy drove her to the temporary Saipan Cares for Animal shelter that was set up after the storm in Lower Base. The Visiting Vet Dr. Jennifer diagnosed her with vaginal cancer from an STD. Dr. Jennifer asked Kathy to bring in the necessary IV medication to begin a month-long medication regime. Dr. Jennifer also spayed her. Kathy renamed her Bonnie Brabu and would visit her in the kennel every morning and evening to walk her and pet her. She was obviously previously owned because she would not even pee in her kennel. She would wait for her daily visits from Kathy to walk her. 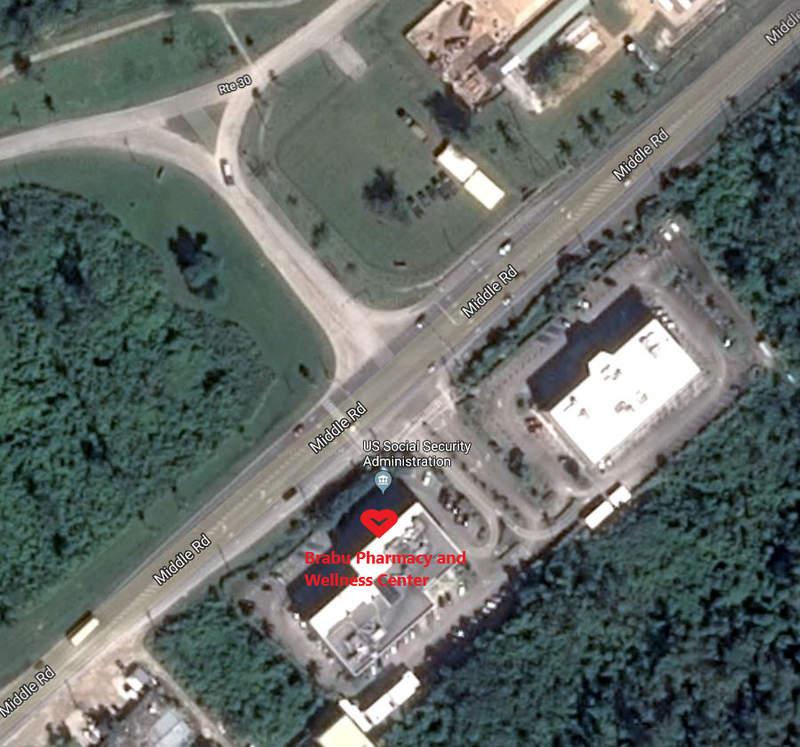 When Bonnie Brabu was well enough, Kathy brought her back to Brabu in the Akari building, as that parking lot was clearly her home. Bonnie completed her last treatment IV at Brabu in Kathy’s arms while Dr. Jennifer administered. That's how trusting and wonderful this dog (who was abandoned by someone) is. At the end of her treatment Bonnie was cured. She had a good appetite and everyone in the apartment building really started looking after her now that she was well and no longer having puppies. She now is our fat little "Greeter" (just like at Walmart) and barks at other dogs to keep them from harassing customers. Bonnie Brabu is now thriving at her home in the Akari Building with all her human pets living in close proximity. Be sure to wave hello to her when you come by the pharmacy!